A conversation between Jaime and Cersei in "Game of Thrones" Season 7 confirms Cersei's pregnancy. Spoilers leaked prior to the release of the Season 7 finale of “Game of Thrones” revealed an important moment between Jaime and Cersei. However, this scene did not make it to the final cut. If it had, then it would have answered doubts whether Cersei is indeed pregnant with her brother’s child. The entire plot for Episode 7 was leaked online back in January, months ahead of the finale’s release in August. One memorable scene in the episode was a conversation between Cersei and Jaime. They talk after they met with Jon Snow and Daenerys Targaryen’s camp at the Dragonpit. 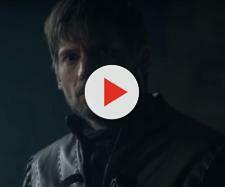 Jaime tells his sister that the Lannister army is all set to leave for the North. He says they have assembled to join Jon Snow in the fight against the White Walkers. Cersei tells Jaime to hold off with the preparations since she has no intention at all to send their men. She reasons that it is futile since she is sure that they would lose the battle. She says that she would rather let the North fall than send her soldiers to die. Jaime argues that if this happens then, the army of the dead would attack the South next. Cersei answers that she and Jaime could just return to Casterly Rock and rule from there. 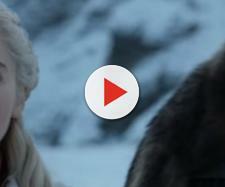 She then pleads with him not to leave for the North. We saw Jaime and Cersei talk about the oncoming fight with the White Walkers. We heard Cersei admit that she lied about sending her men to the North and saw Jaime’s disbelief at hearing his sister bluff. We saw him turn his back on Cersei. However, we did not hear Cersei plea for Jaime to stay. Instead, she threatened to have him killed if he leaves for the North. We also did not see Cersei collapse and wake up to find out that she had lost her baby. Given the massive leak, perhaps the writers decided to remove this scene from the finale. However, this would have confirmed that Cersei is indeed pregnant with Jaime’s child. Regardless, Episode 7 director Jeremy Podeswa hinted in an interview with Refinery that Cersei did not lie about her pregnancy for one reason: she allowed Jaime to leave. “I feel that the fact that she has a new life within her does give her a different kind of core strength now, and even the strength to let Jaime go, for example, because she’s not truly alone anymore,” he said.